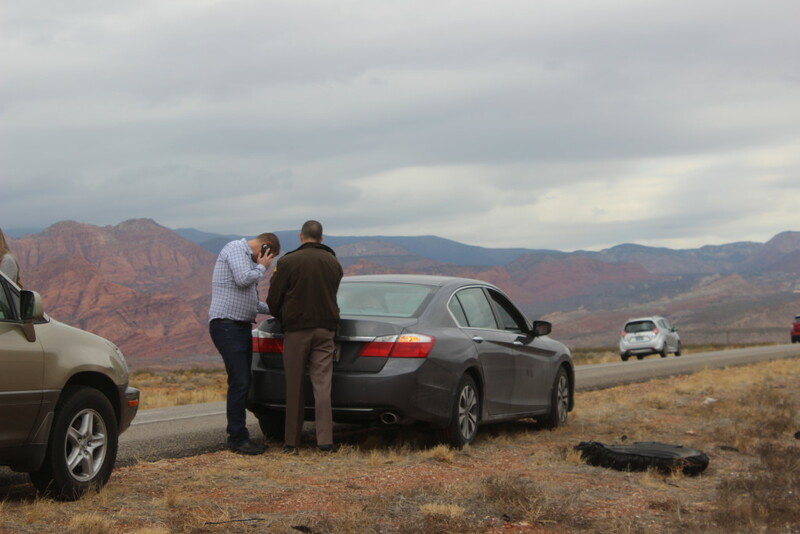 WASHINGTON COUNTY – A collision between a gray Honda Accord and a black Ford Fusion Sunday morning on Interstate 15 near mile marker 18 sent the Fusion into the dirt median, causing extensive damage to both vehicles. Claine Tanner, the driver of the Ford Fusion, described the incident that occurred around 10:57 a.m.
Tanner said he hit the front of the Honda, which caused the Ford to leave the roadway. 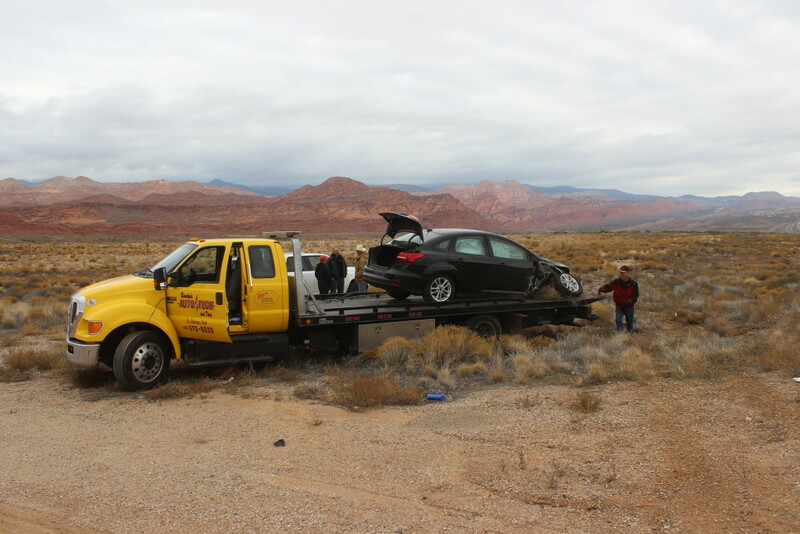 Both vehicles had been travelling north on I-15 at the time of the collision, Utah Highway Patrol Trooper Taj Eldredge said. 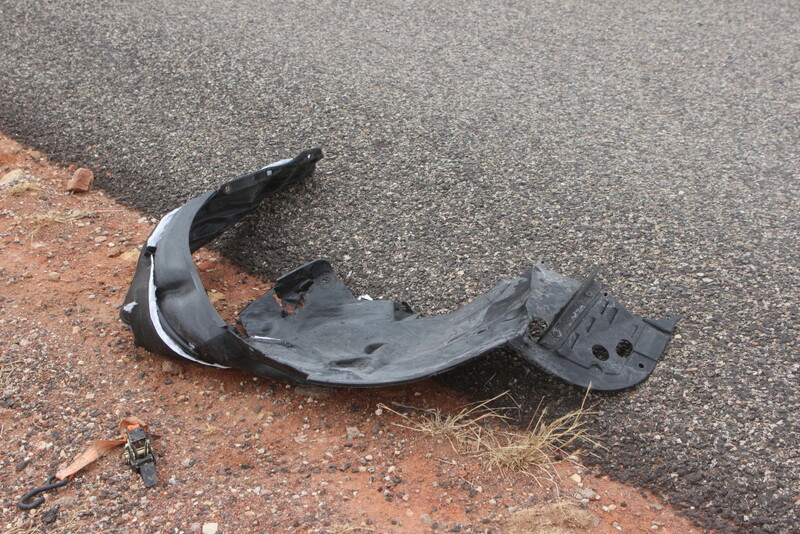 The driver of the gray Accord was in the right lane and swerved to avoid tire debris. Tanner saw the Accord braking hard and moved to the left lane, Eldredge said, but the driver of the Accord also swerved into the left lane, colliding with the Fusion and sending it into the median. 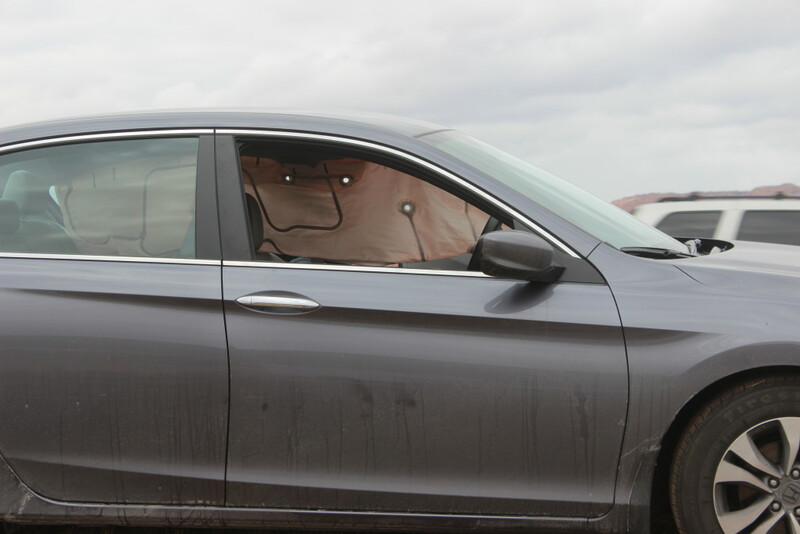 The Accord was able to pull off to the left side of the freeway. 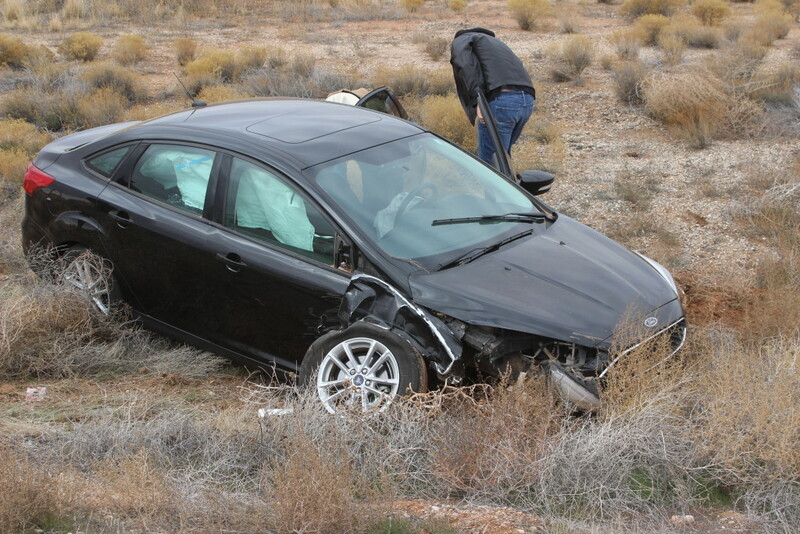 Airbags deployed on both vehicles, Eldredge said, and no injuries were reported. 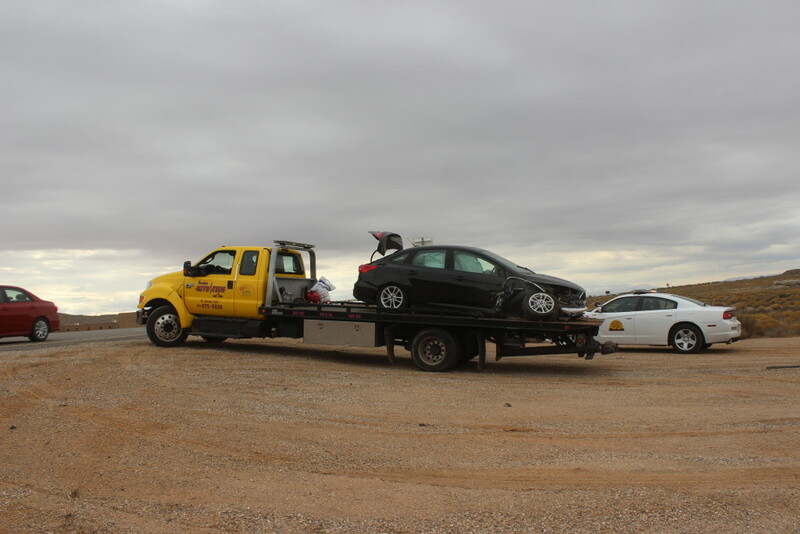 Both cars were heavily damaged in the incident and had to be towed from the scene. The driver of the Accord was issued a citation for failure to maintain a single lane, Eldredge said. 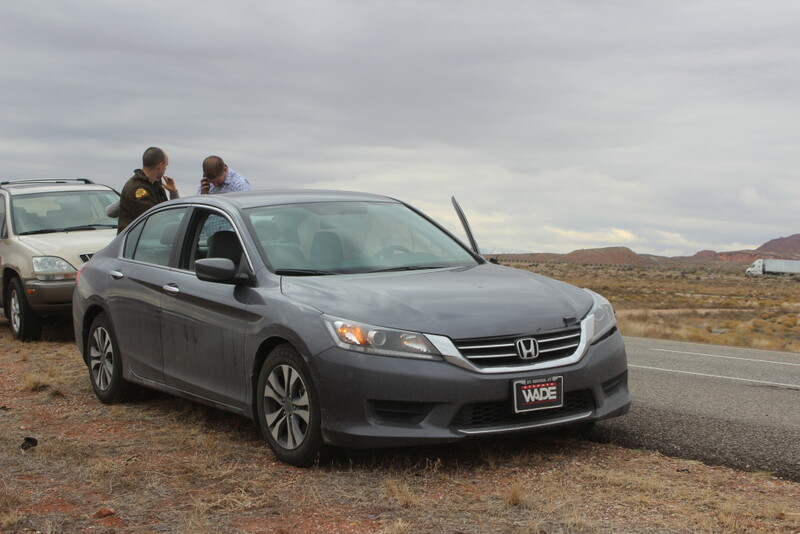 Leeds Area Ambulance, Leeds Fire Department, Utah Highway Patrol and Washington County Sheriff’s Office all responded to the scene.